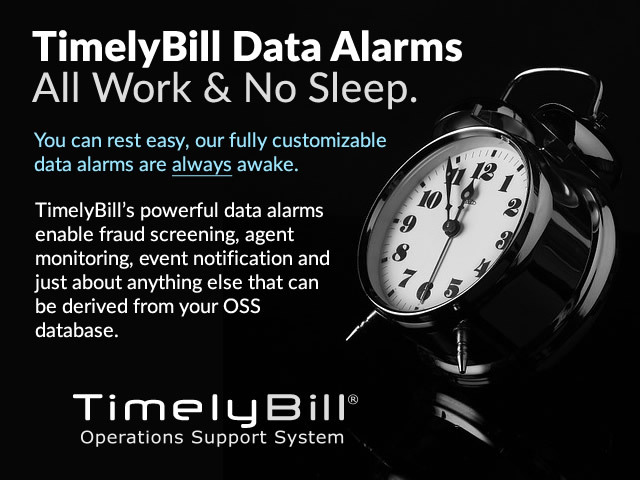 TimelyBill's powerful data alarms enable fraud screening, agent monitoring, event notification and just about anything else that can be derived from our OSS database. 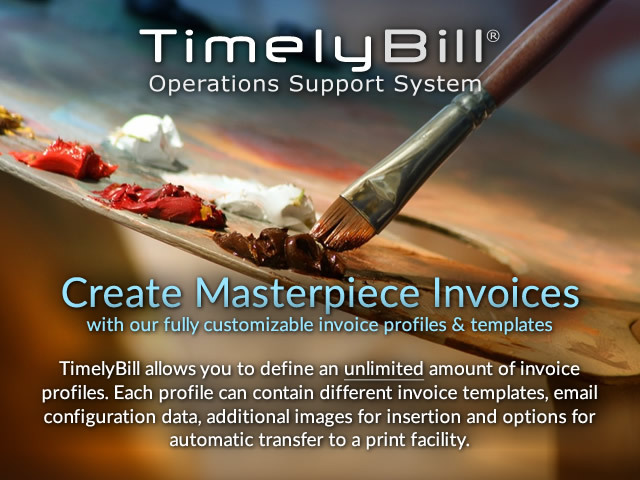 TimelyBill allows communications service providers to define, generate and print an unlimited amount of invoice styles. 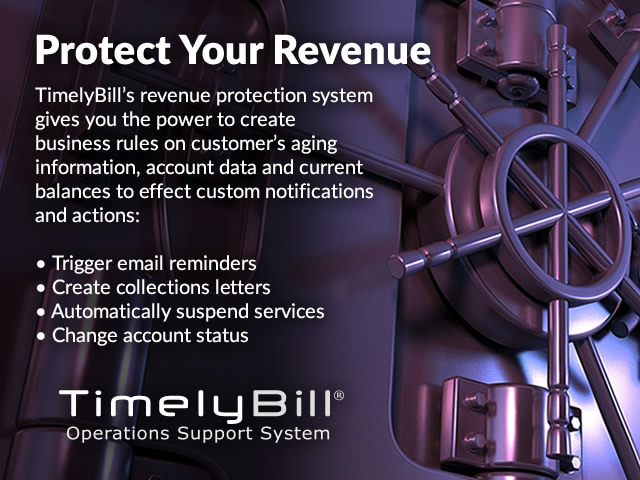 Learn more about our telecom invoice printing services.